Google is now a part of everyone’s daily life. In the beginning, it was accessed by a web browser on a computer, but today, it lives on your mobile devices, in your home with technology such as Google Home and even in your car when you’re driving to work. Everyone searches the Internet for different things. Some searches cure hungry such as; how long should I bake an apple pie, some answer random questions such as; who won the first Stanley Cup; the sky’s the limit in regards to information people seek on Google. We are all curious about different things, and Google is used daily to find answers. Yes, it’s important to rank high in Google’s organic search results. The higher your site appears, the more visitors to your website. It’s important to ask yourself – what are people asking before they load up your site. Once you have answered these questions, you’ll want to ensure that your website quickly addresses answers these searches as soon as people arrive on your landing pages. Google is a source of information that’s universally trusted. When someone asks Google how to bake chocolate chip cookies, they expect to see a recipe, if a page appears that doesn’t give the information quickly, they bounce (literally) back to Google. Lots of websites have excellent content, but if it doesn’t answer the searches of their audience, it’s never going to as efficient as it could be. Understanding your audience and providing relevant and definite content is a powerful way to stand apart on the Internet and help your bottom line at the same time. Manners don’t exist when there’s a mouse or a swiping thumb if you don’t answer a person’s question they will go to the next website. 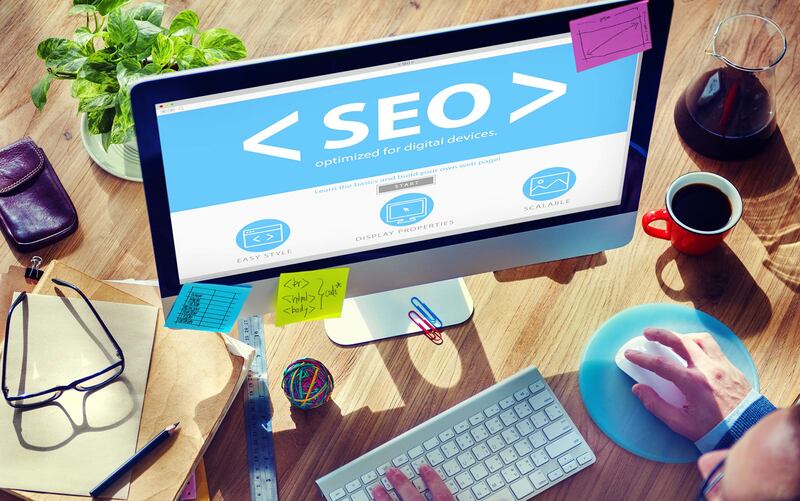 We’ve been providing Search Engine Optimization (SEO) services for a wide range of clients throughout Markham, Toronto and surrounding areas since 2002. In the beginning, the goals for SEO were pretty straightforward. Develop a strategy that helps a website rank on the sought-after first page of Google. Today, it’s a little more involved; not only does content need to rank high in Google, but it also needs to keep visitors engaged. Gone are the days when more traffic to a website was the primary goal, a click from Google is only the beginning now. Authority is one of the most significant factors in a person’s online research process. It’s important to establish your brand as a source in your market; relevant content is the best way to gain this respect. Study and after study concludes that people are visiting multiple websites in their online search; brand authority will help keep you top of mind. Many homepages are underutilized on the Internet. How many times have you landed on a website only to find content that talks about how long a company has been in business, or a breakdown of their business philosophy? This material is all great information, but it probably didn’t answer the initial question that brought you to the website in the first place. The person already landed on your site, they’ve picked you in Google; there’s no need to sell them. Anyone visiting your site should have the information they are looking for in front of their eyeballs right away, once they have it, they will dig deeper and learn more about your brand. Take a step back and put yourself in the shoes of your potential customer. Ask Google a question that’s related to your business. Maybe you’re a plumber, try asking Google how to fix a leaky faucet. Ideally, you’ll appear on the top of Google’s search results page. The real test begins after you click your link. You should land on a page that explains how someone can have a leaky faucet repaired. Online video is an excellent way to present content in an attractive and highly engaging format. Show as much visual content as you can, keep your tone simple and inviting. SEO is just as important today as it was when we were first started providing online marketing services in Markham, it’s just different. Make sure your website addresses the questions of your audience and save the other stuff until later in the process. Establishing your brand as a source of online information is a great way to create a unique online experience and generate more business.